1937 Chevrolet Photo Picture Classic Cars for sale & Classifieds - Buy Sell Classic Car & Classic Truck Classifieds. 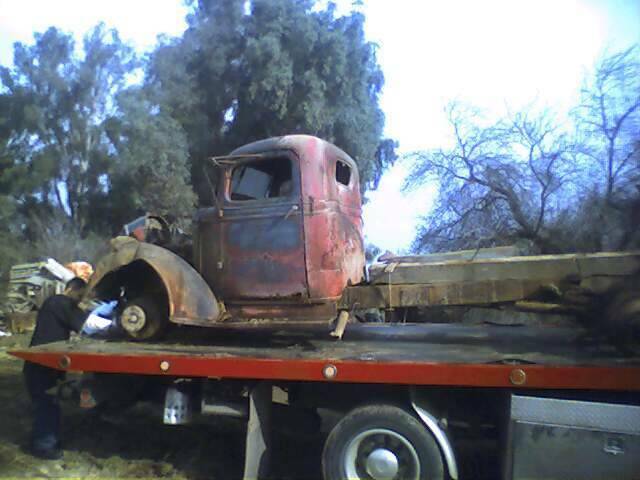 This was found outside Fresno. Ca. It had a tree growing between the grille and bumper that kept it there all these years, now it has a new future as a street rod, of course my son paid the old farmer $175 For it not bad it was complete. Is this a U.S.truck?The windshield looks to be two piece and that did not happen till 1939. Great find and great deal on the price. A cab alone in far worse shape gets $500 or more around here. I see it low to the ground with a suicide front end and no paint whatsoever. nice find. anyone have doors for a '37? Nice save! good luck with this one. Nice find, but a better save. You go boy! glad to hear she's going live!